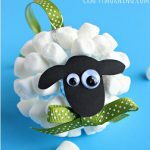 These Mini Marshmallow Sheep Cupcakes will make your Easter guests smile and ask for more. The kids can help add the marshmallows to the cupcake so make it a family affair. 1. Bake cupcakes according to directions on the box. 2. 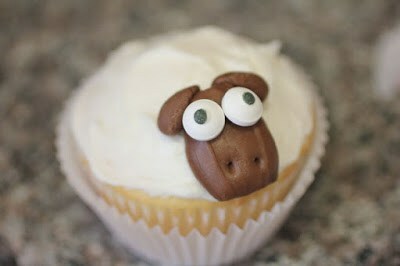 While cupcakes are baking, make your sheep heads with the tootsie rolls. You will want to heat them in the microwave for about 15 seconds so they are slightly soft and easy to mold. 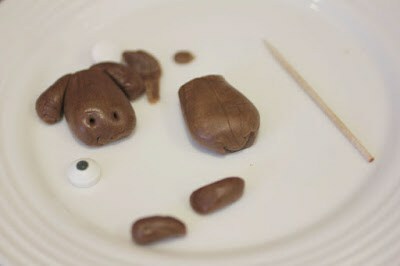 I used one tootsie roll for the head, and a little bits of tootsie roll molded into ears and stuck on while still soft. 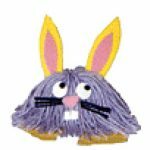 Use a dab of frosting to stick the candy eyes on and use a toothpick to poke two holes for the nostrils. 3. When cupcakes are cooled, ice them with vanilla frosting. Stick the head on first. Then cover the rest with the mini marshmallows. Sarah is a stay-at-home mom to her 1 and 3-year-old boys. She is also an artist and graphic designer that loves crafting with her kids, taking on DIY projects, crocheting and attempting to cook with the help of her Crock Pot.